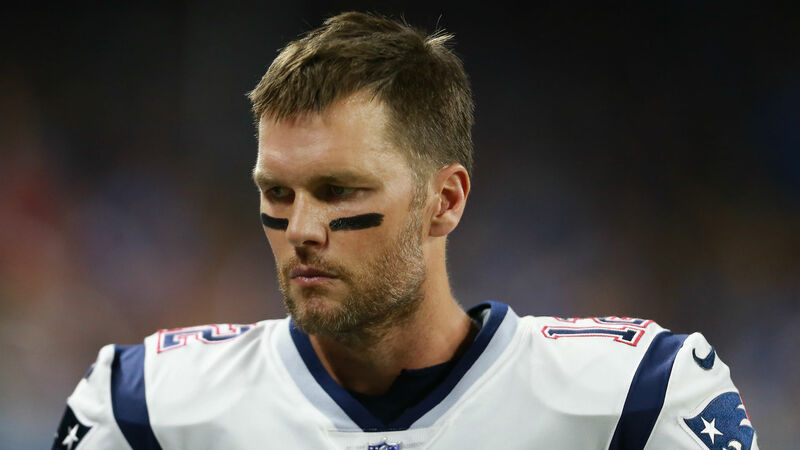 The Patriots haven’t been turning heads this season, and their slow start could have implications for quarterback Tom Brady. Brady is currently on track to earn none of the $5 million worth of incentives this year. Before the start of the season, New England restructured some of his contract and gave him an extra couple million if he hit certain marks, according to NBC Sports’ ProFootballTalk. The 19-year veteran can make $1 million by hitting one, a few or all of these specific incentives: (1) finishing in the top five in passer rating; (2) finishing in the top five in completion percentage; (3) finishing in the top five in yards per attempt; (4) finishing in the top five in touchdown passes; and (5) finishing in the top five in passing yards. However, Brady falls far outside the top five of all but one category. He is currently 16th in passer rating among starting quarterbacks, 20th in completion percentage, 26th in yards per attempt, tied for eighth in touchdown passes, and 20th in passing yards. Brady can pick up a spot in each of the first three categories if Buccaneers QB Ryan Fitzpatrick is omitted, but still has a lot of ground to make up through the next three quarters of the season. His next attempt will be during Thursday when the Patriots host the Colts at 8:20 p.m. ET.